Amazing amounts of bad acting (Laurel Takashima + Lyta + Carolyn = YIKES. And Michael O'Hare isn't at his best yet either), and not up to the level of the show all over, but ..
and I thought that all the replacement main characters (Franklin, Talia, Ivanova) were better than their counterparts in the pilot. Definitely true on Ivanova .. and also on Catherine. I think I could have grown to quite like Kyle, though, if he had stayed. Not that I'm objecting to the switch. While Talia is infinitely better acted than Lyta, she's somehow also infinitely more annoying. I don't know how it worked for you but I saw it on a taped video I borrowed of a hippy chick months before the series started and always felt that it had promise. My initial reaction to the series was a "Star Trek meets Star Wars". Does anyone have ANY clue what he is talking about? And this Poll is titled "Keep Chapel" ??? All the old poll titles are messed up. See here. Ah yes ... the lost episode. I gave it a C. The Gathering never really grabbed a hold of me, initially. The story was a little convoluted and I've only ever understood the Del Varner plot thread upon repeated watchings. I'm glad that they changed many aspects when they went to the show. The characters people have touched on were much better casted in the show--especially Talia. Though admittedly I thought Andrea was much more attractive than Pat Tallman. That woman still amazes me. I could have grown to really like Dr. Ben Kyle, though. 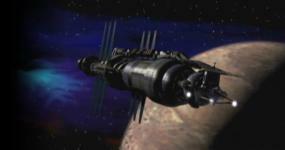 The dark, alien atmosphere was nice, but they overdid it a little in the pilot, the show hit the sweetspot. The prothetic hairpiece for Londo was much better than the Bald/Crazy Crest he had in the pilot. On first view of the Vorlon ship/fleet, and of course Kosh himself, I was very impressed and instantly fell in love with the Vorlons forever. I love it when aliens are imagined as truly alien, rather than the endless parade of forehead appliques you'd see in most sci-fi (also one of the reason's I'm one of the 6 people who think Starship Troopers is brilliant). Over time and repeated viewings, I must say I've grown to really enjoy the movie, though. The Minbari guy's line, "You have a hole in your mind" is pretty far reaching actually. Obviously the humor/candor of Londo was in full swing and "The Gathering" placed him ahead in the running for my favorite character while "Midnight on the Firing Line" nailed it down for good. I actually disliked Talia myself, and was very happy to see pat Tallman return. I actually don't think Andrea is all that god looking, she's just your average bleached blonde with a pointy nose, IMHO. I like Susan alot and am glad she played Susan, but, I think Laurel could've grabbed me as well (although she wouldn't have been around for very long, as she was originally the traitor who betrayed Garibaldi. I must be one of the other 6 who likes Starship Troopers, I love the movie, and think it's a great satire.